This Tricky Logic Brain Teaser for Genius People. Solving this logic brain teaser will make you think out of box. 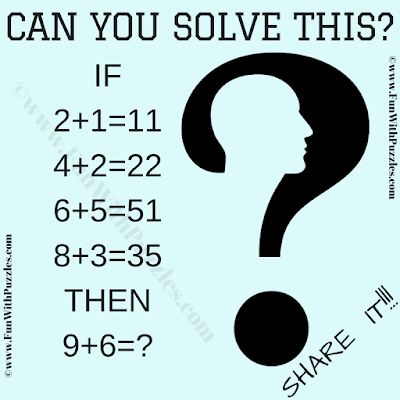 In the given Puzzle Picture, you are given with Math Number Equation which contains some hidden logic pattern. Can you decipher this logical pattern and solve this tricky logic brain teaser? Can you solve this tricky logic brain teaser? Answer of this "Tricky Logic Brain Teaser for Adults", can be viewed by clicking on answer button. Please do give your best try before looking at the answer.